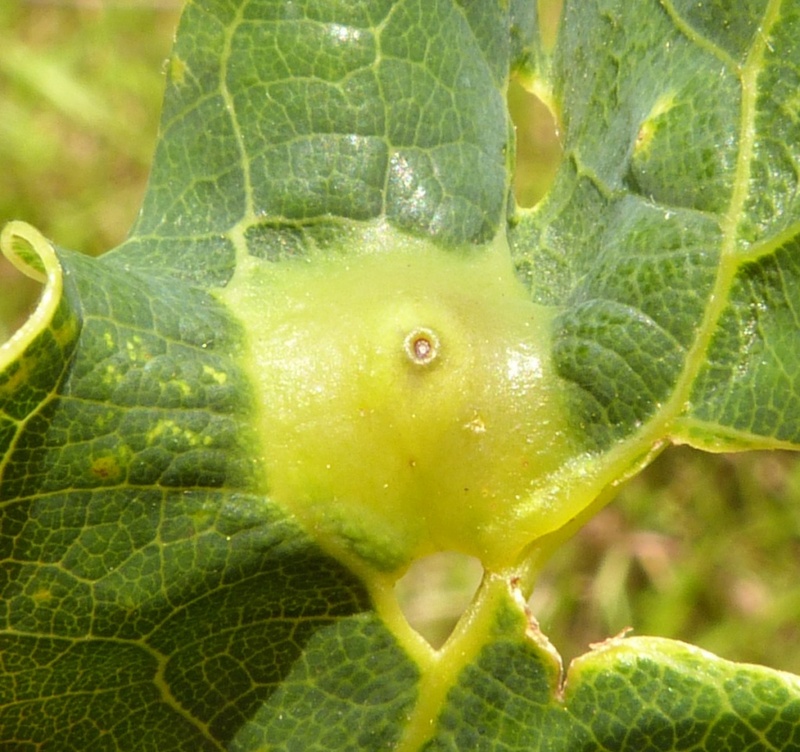 Andricus curvator is a Cynipid gall wasp that causes galls to form in the leaves of Oak. The sexual generation gall is roughly globular, about 8 mm across and often distorts the leaf and midrib. 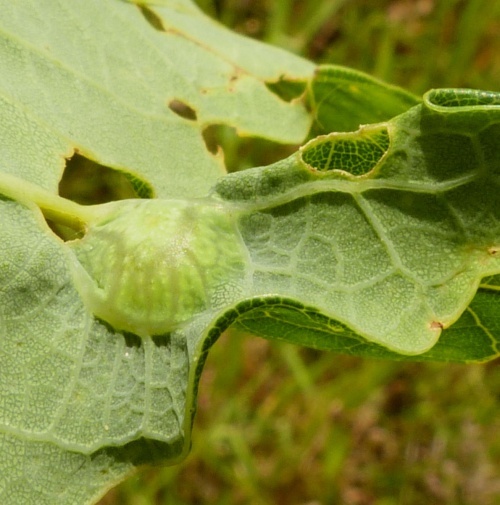 Sometimes several galls coalesce.